Earn $53.54 in Rewards credit (5354 points) What's This? 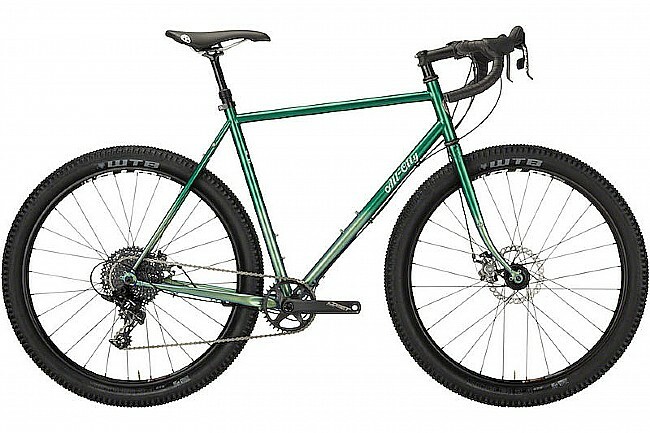 The All City Gorilla Monsoon adventure bike takes All City's famously capable cyclocross geometry and built a monster. This densely featured bike comes with everything that you need for a capable steed. Front and rear thru axles, stealth dropper routing, and ample clearance, not to mention All City's signature E.D. coating for rust prevention. Frame Material: 612 Select CroMoly Steel, double butted. Fork: 4130 CroMoly, lugged crown. Headset: Cane Creek 40 Series. Shifters: SRAM Apex 1 Mechanical. Rear Derailleur: SRAM Apex1, Long Cage. Crankset: FSA Comet 1x, Direct Mount 36t Ring. 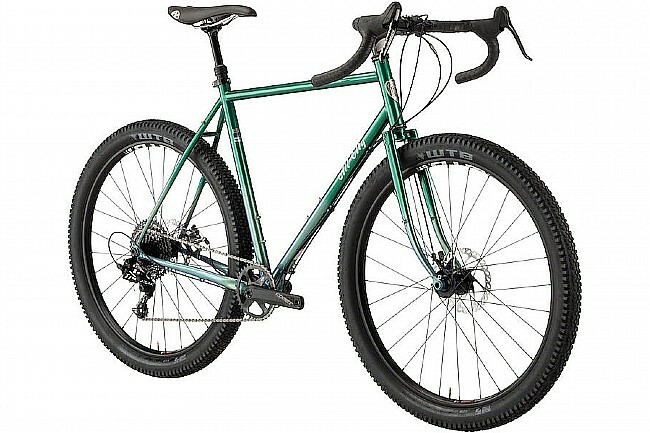 Brakeset: Hayes CX Expert, 160 front/rear rotor. Stem: Promax 3D Forged Stem. Seatpost: TranzX Dropper, 30.9, 80mm travle, 31.8 trigger clamp. Rims: WTB ST i25 TCS 2.0, 27.5", 32h. Hubs: WTB 32h, Shimano driver, 6 bolt rotor mount. Front Axle: 100x15mm thru axle. Rear Axle: 142x12mm thru axle. Tires: WTB Ridler TCS 27.5" x 2.4"". 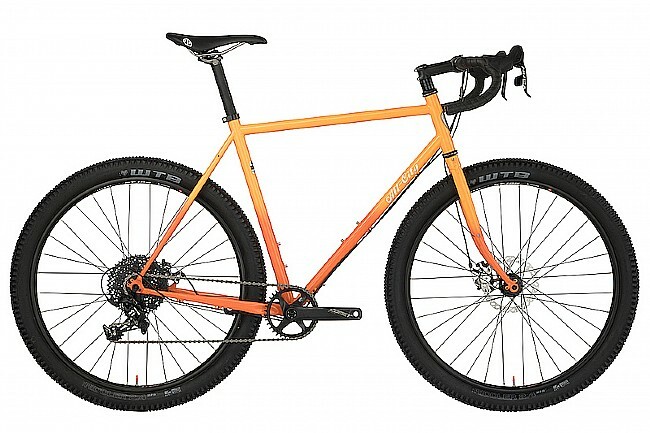 Please note: The orange All City Gorilla Monsoon adventure bike is a 2018 Model and as a result specs may vary.